Maybe I just have a thing for caves, but “Mines” is one of the pieces I remember the most simply because it was so different from the others. The instrumental selection is in many ways similar to Myst’s Stoneship Age with plucking strings and metallic clangs (especially 0:45) that sound like gears turning and hollow bells that toll mournfully. The track plays in the mines as well as on the ocean planet, so there is a sense of a distant, deserted island to this song as well, with waves crashing upon its Atlantian shores. The strings added at 1:25 create a nice progressive section that builds to a WarCraft-like crescendo at 1:55. The loop is over three minutes, and it is a masterful example of Robin Beanland’s work, getting the most out of hardware that was a step above what the SNES could do. One of the things that defines the James Bond series is its excellent soundtrack. Espionage, sneaking, and hip action are all elements present in James Bond, which in large part defines the genre of ‘spy’ music. 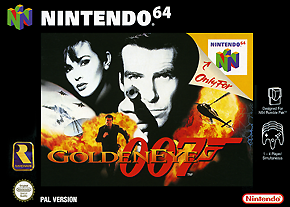 When Rare made GoldenEye 007 (1997), composers Graeme Norgate and Grant Kirkhope (along with Robin Beanland) implemented a musical style that matched the overall feel of the series on the Nintendo 64’s midi sound system. Of course, GoldenEye is more famous for its redefinition of the FPS genre, with an extensive single-player mission that introduced stealth, objectives, and the sniper scope, in addition to a well-polished deathmatch mode that is still popular today in some circles. “Cradle” is my favorite piece in the game (second to “Dam”, the opening stage). It’s a nice piece of jazz rock that stands out for its excellent piano work that dominates the lower notes on the keyboard. This groovy piano provides a base for the melody, which is highlighted by dramatic notes from the string section, and a few notes from the “James Bond Theme” (“Dam” is based primarily on this song). There is also a ticking clock through the percussion, which together with piano and strings grants the level the sense of urgency and fighting against a clock ticking towards impending doom. 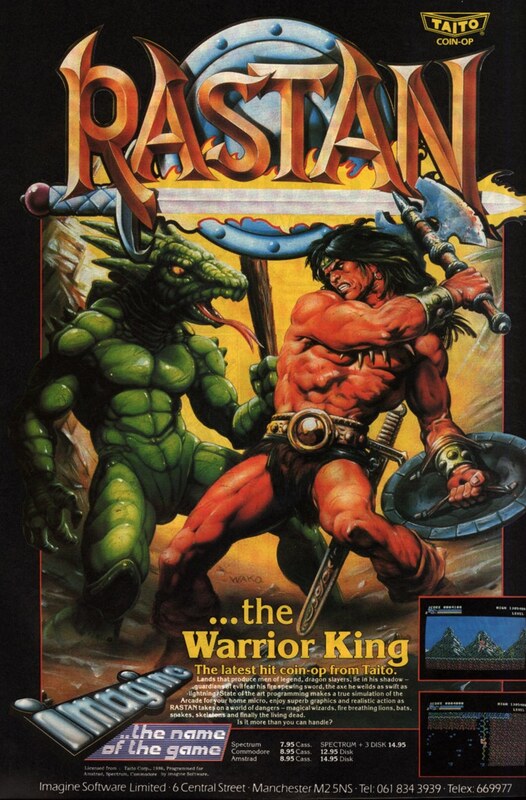 Graeme Norgate began his run with Killer Instinct on the SNES but eventually left Rare with the splinter group that formed Free Radical Design. 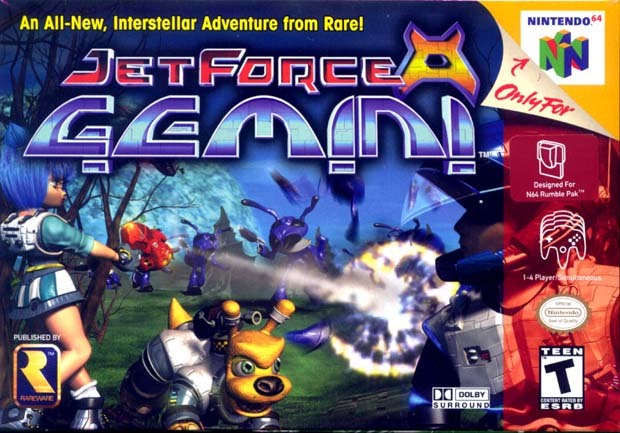 Some of his other credits include Jet Force Gemini and the ill-fated Haze. Grant Kirkhope is still at Rare. He has composed the Banjo-Kazooie series along with Donkey Kong 64 and Perfect Dark. The most prestigious track from Donkey Kong Country, “Aquatic Ambience” captures the calm and serenity of underwater ocean currents in pristine coral reefs. The calming melody can help you drift off to sleep in warm ocean waves. “Aquatic Ambience” has been remixed dozens of times, but this original rendition by David Wise’s Monkey Choir is by far the best. This was the one song by an American composer that was picked for orchestration in the Game Music Concert series. But just how can those apes hold their breaths for so long? 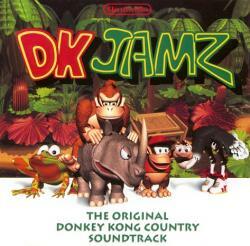 David Wise’s work was previously featured in the impeccable “Jungle Groove“, the Donkey Kong Country main theme. Here is the full soundtrack for your listening pleasure. You will need to download an SPC Player for it if you haven’t already (I recommend Winamp on PC and Cog on Mac. Even though this is a blatant lie, Linux should have it as native support). This game is fun to play, but you can have more fun with this pro action replay code: 7E001011.